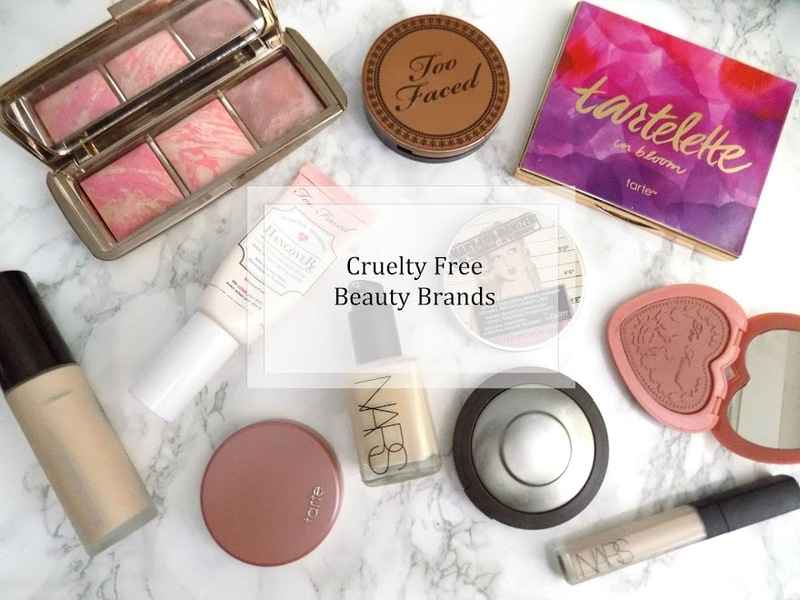 In Junes Birchbox I was really excited about one product in particular, the Beauty Blender. To the normal person, this is just a funky shaped makeup sponge with a ridiculously large price tag. Which is what I always thought. Until now. I have used this a lot to apply my makeup. Using different foundations, and tweeking the technique every time. So I thought I would give you a review and comparison, Face Off style. When I was younger, I often used the triangle/round makeup sponges to apply my makeup but so much product ended up getting soaked up into the sponge and not on my face. However, dampen the sponge and use it to apply your makeup and your makeup gets safely put onto your face and looks darn good too. 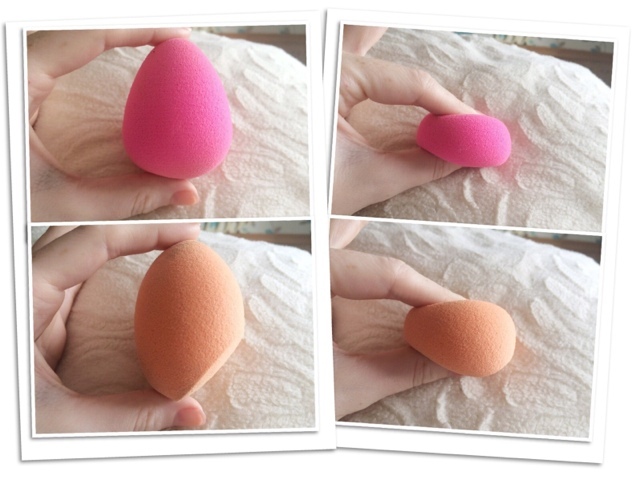 This was a question I have asked my self many times when I first heard of the beauty blender. At the end of the day it's a tear drop shaped sponge which costs a ridiculous amount of money. This kind of makeup sponge is unique. The shape of it means you can use the flatter bottom part to bounce the makeup onto your skin and cover larger areas. The pointy side is best for concealer and getting around your nose and eyes etc. as for the Miracle Complexion Sponge, this has a slightly different shape but works just the same. All of this, leaves you with a flawless base. No caking, no thick heavy foundation. But lovely, blended in, seamless skin. Because it is damp, the water helps to blend everything really nicely and can give a really nice dewey finish to your skin. Especially good for any dry patches you may have. Overall, I am a huge fan of the finish these give, how easy and quick it blends the products into my skin, and it is so versatile and can be used for so many different products that I think it is definitely worth it. The original Beauty Blender ranges from £13.00 - £16.00, this has always caught my eye, but I could never justify that much money on a makeup sponge. But anyway. If you don't know how these kind of sponges work. You run it under water and keep squeezing it until it has stopped growing. 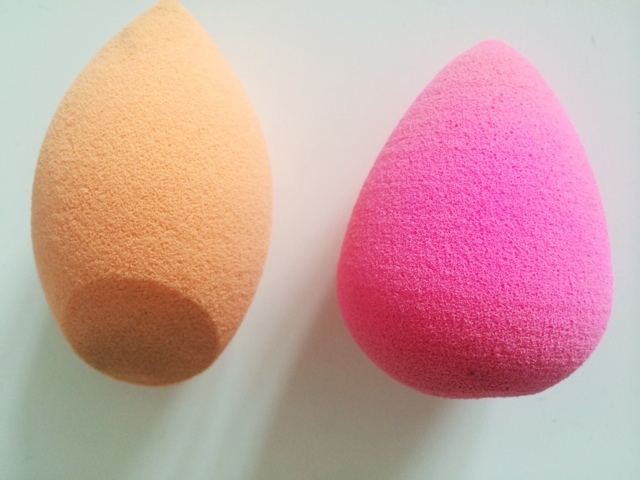 The idea of the sponge is that it gets bigger and bouncier so it doesn't soak up your makeup like a dry sponge would. As for the Real Techniques Miracle Complexion Sponge this is £5.99 and has a unique shape to it which is different to the BB. It still gets bigger when damp and has the same bouncey feeling as it's more expensive rival. I feel the BB is slightly more bouncy and light weight than the RT MCS but they still give a very flawless finish to the skin. 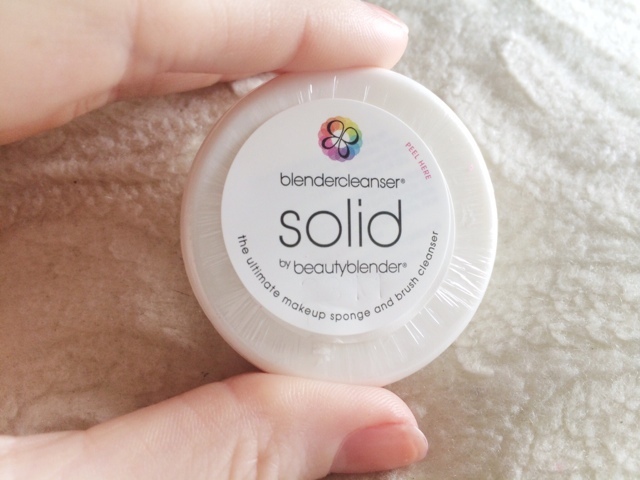 As for washing these little guys, the BB actually came with the Cleanser Solid which is basically a round soap that is specifically for cleaning makeup sponges like this. The full size comes in a pot and is bigger than this but I believe it's quite expensive, but you can get other solid soaps like this for a much cheaper price. So using a normal soap or your regular brush cleaner is just as good, as long as it is very gentle and that you are careful when washing as I have heard they can tear quite easily. These need to be washed regularly, the same as makeup brushes as bacteria loves these things. I like to spray mine with Tea Tree Oil every now and again for it's antibacterial benefits. Overall, I am really pleased I have both of these and I will continue to use both of them. However I definitely recommend picking up the Real Techniques one rather than spending ridiculous amounts on the original Beauty Blender unless you want to splurge on something and the BB really is something you just have to have. I am trying out some "dupes" to the beauty blender so keep an eye out for that review/comparison in a few weeks. Have you tired either of these? What were your thoughts? I've tried both and, like you, I originally thought the Beauty Blender was horribly overpriced. Now that I've tried it I'm hooked! I prefer the BB over the Real Techniques sponge as it's much lighter and gives a great finish.